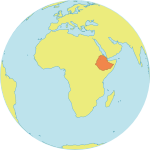 ADDIS ABABA, Ethiopia — Over 100 million girls and women worldwide have undergone some form of genital mutilation or cutting. This traditional practice, which is defined by WHO, UNFPA and UNICEF as “the partial or total removal of the female external genitalia or other injury to the female genital organs for cultural or other non-therapeutic reasons,” affects 2 to 3 million girls yearly. The ritual takes many different forms, and can lead to many serious health consequences, ranging from pain and trauma to infection, infertility and even death. In addition to threatening the sexual and reproductive health of women and girls, it violates their human right to health and bodily integrity, and often has lasting physical and psychological effects. UNFPA, the United Nations Population Fund, in collaboration with development partners, this week (30 July - 3 August) convened a Global Technical Consultation on Female Genital Mutilation/Cutting (FGM/C) to adopt a global strategy for the elimination of this harmful traditional practice. During the meeting, over 70 experts from across the globe, including participants from UN agencies, the World Bank, faith-based and non-governmental organizations, law enforcement agencies, and government and research institutions, will discuss strategies and a road map for ending FGM/C, along with related issues of sexual and reproductive health, human rights, and gender. In her remarks on the first day of the consultation, Fama Hane Ba, the Director of Africa Division at UNFPA, said that although considerable progress had been made in some countries, worrying trends were beginning to emerge. These include the increasing medicalization of the practice as parents seek to have their daughters cut by health providers so as to minimize harmful physical effects of FGM/C. Ms. Ba urged governments, development partners and communities to recommit themselves to accelerating the elimination of the practice. She commended organizations that are achieving success through the implementation of innovative strategies based on dialogue with community leaders. 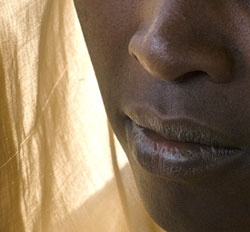 The prevalence of FGM/C varies from country to country, but the World Health Organization estimates that between 100–140 million women have been subjected to the procedure in 28 countries in Africa and in immigrant communities in Europe, Australia, Canada, New Zealand and the United States. It is now becoming clearer that FGM/C is also practised in some countries in Asia (India, Indonesia and Malaysia), as well as in the Middle East. Until recently, the contribution of FGM/C to maternal and newborn morbidity and mortality as well as to infertility was suspected but not scientifically proven. A six-country study by WHO confirmed that “compared with women who had not undergone FGM, those who had been subjected to, run a significantly greater risk of requiring a Caesarean section, an episiotomy and an extended stay in hospital, and also of suffering from post-partum haemorrhage. The infants of mothers who underwent extensive forms of FGM/C, including types II and III, were at an increased risk of dying at childbirth compared with infants of mothers without FGM.” The more extensive the genital mutilation, the higher the risks of obstetric complications.